The fastest, surest way to nail your quarterly number is iterative testing and learning. Consider last quarter’s deal outcomes, for example. That’s fresh data just begging to be put to good use, and Win/Loss Analysis is the best way to do it. In this article, I offer 24 ways to ace your Win/Loss — so you increase conversion from first touch to close by learning from last quarter’s deal outcomes. First, decide which deal type is the highest priority for increased sales, how you’ll measure the improvement (eg win rate, or other metric), and which deal type is the next highest priority. 1. Start at the end. Is your goal increased win rate overall, or in one high priority target market (eg enterprise buyers), or against a key competitor? Keep this desired outcome in mind as you decide which decision makers to recruit, what to discuss with them, and which internal stakeholders should be involved. 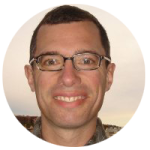 Benchmarks for Win/Loss Analysis are strong; Gartner analyst Todd Berkowitz found “up to 50% improvement in win rates.” But because running a Win/Loss is a significant part-time effort over 6-8 weeks, I recommend measuring and reporting your own cost/benefit. Set a goal, decide what metric (eg SQLs, win rate, etc) you’ll use to measure results, and schedule a meeting a few months out to present the results. This leads to #3. 3. Win/Loss Analysis works best when it’s iterative. Revise your program based on the results you achieve, and opportunities to improve win rate in other deal types. In fast moving technology markets, I recommend using the interview technique I describe below to get a yearly baseline, and then digging into your CRM quarterly to update the more dynamic data (eg competitive presence, competitive win rate, buyer feedback on new features you introduce, etc). Recruiting decision makers is the wildcard, so I give it a wide berth (2-4 weeks) in my targeted 6-8 week project schedule. 4. List the key characteristics of the decision makers you’re targeting. Decision makers in twenty deals (10 won, 10 lost) that have closed in the past 90 days is a good starting point. While it’s sometimes necessary to go back further than 90 days, interviews will be less vibrant, as the buying experience isn’t fresh. When your goal is more specific than increasing overall win rate, for example increasing win rate in the enterprise segment or against a key competitor, include those criteria. 5. Advanced “stage” of discussion is important to include in your criteria for Closed-Lost participants. This ensures the participant was seriously interested and can provide detailed feedback from the evaluation. Opportunity stage definitions vary, but I think a good rule of thumb is to select deals that at least made it to the point of proposal being submitted. 6. The vast majority of clients will appreciate your interest in their buying experience. The only exception I’ve encountered is buyers whose goodwill has been exhausted by too many requests for feedback, references, etc. I begin recruiting with a very short email (2-3 sentences), describing our goal of learning from the buyer experience and requesting participation. Win/Loss interviews are typically 30 minutes long, by phone, so that’s the ask. As a 3d party consultant, I ask a company executive to send the first email, to establish my bona fides. 7. Since decision makers in Closed-Lost deals will be harder to recruit, begin with them. My intro email to these decision makers includes two inducements. I clarify that the interview’s purpose is to learn and improve the buyer experience; it is not sales related. I also offer an incentive, in the form of a gift card or donation to a charity of the participant’s choosing. I offered Engineering decision makers $100 for a 30 minute interview on a recent project. Successful recruiting typically requires multiple touches. Calling shortly after emailing, or vice versa, is helpful, even though it seems overbearing. I email each prospective participant up to 3 times, changing subject line and body each time. A recruiter I’ve worked with suggested this, and it works. Consider contracting with a research recruiter to email and schedule participants. This offloads the two most time consuming pieces of the recruiting process. A recruiter will cost you $250 per person recruited, give or take. The topic of a Win/Loss interview is the buyer experience, everything from the first thought of switching products to the day a deal was signed. 10. While the list of potential topics is long, cap the interview at 30 minutes. For a product sold to Engineering management, I covered topics such as company demographics (eg legacy solution type, development methodology, release cadence); trigger of the evaluation (eg, who suggested making a change and why, what solution was suggested, stakeholder reactions); how new solutions were discovered, and the initial reactions to them; how solutions were evaluated (eg, pros and cons; price and pricing model; the roles and input of others on the eval team); the solution chosen and why. 11. As a general rule, I believe it’s particularly important to dig into the trigger. Buyers like everyone else are busy, and have usually been dealing with the challenges of the status quo setup for a while. Why is the buyer spending time talking to you now? Clearly you want to identify the trigger patterns in your deals, to target and qualify in opportunities containing triggers you most often win, and preferably close fastest. 12. Begin with the end. As I plan how deep to go into each topic during the 30 minute call with each decision maker, I find it helpful to consider how a Win/Loss will be operationalized. For example, if we’ll be using the Win/Loss findings to update a Buyer Persona, I’ll want to review the current Persona, and consider whether each of its topics should be included in the interview. A discussion guide ensures interviews stay on track and on time, cover all essential topics, and questions are phrased in consistent language. Rehearse it, tracking the time it requires, to ensure you can cover everything in the allotted time. 14. Think of yourself as a documentary filmmaker. Having a filmmaker mindset helps as you write the interview script, and introduce the interview that way to buyers. I’ve begun using this approach and find it quickly puts participants at ease with sharing detailed information. I picked up this “we’re filming a documentary” metaphor from Bob Moesta, one of the creators of Jobs To Be Done. 15. 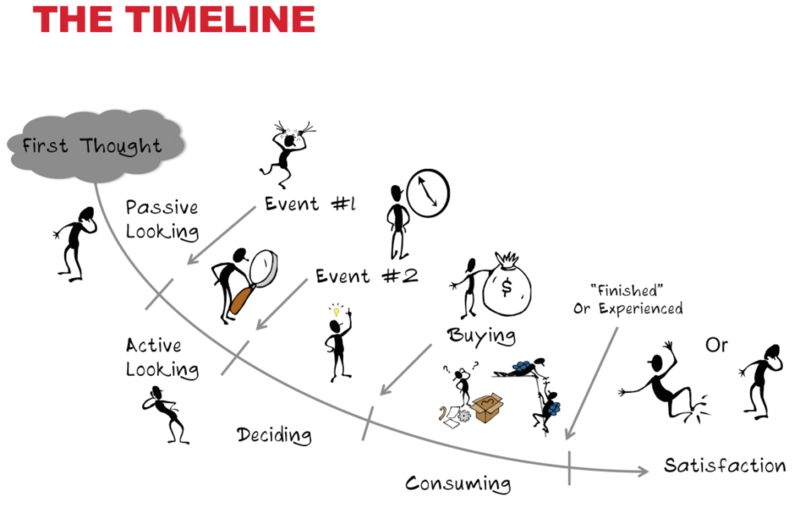 Use the Jobs To Be Done timeline to visualize the events leading to a purchase decision. I use the stages in the JTBD timeline (eg, Passive Looking, Active Looking, Deciding) to frame my interviews and discussion guide. 16. Benchmark the buying experience. For the solution ultimately purchased, I ask each decision maker to rate her satisfaction with the buying experience. The average customer satisfaction (CSAT) rating for competing solutions, as well as ratings for the “no decision” case, provide built-in benchmarks for our own buying experience. I also ask decision makers why a rating was chosen, and what could be improved. 17. Find out what’s causing those lost decisions. In a 2016 survey of 675 companies, CSO Insights found that 23.8% of opportunities being forecast resulted in no decision. This amounts to a lot of lost time. When you find “no decision” outcomes in Win/Loss interviews, dig in to understand why. By enabling SDRs and Account Reps to spot these opportunities and potentially qualify them out, they’re better able to allocate their time. In my projects, I’ve found a common cause is a weak trigger to the evaluation, but “no decision” outcomes can also be caused by internal resistance and insufficient risk/reward. 18. Record your interviews and get transcripts. On a Mac, use Apple’s free QuickTime Player to record VoIP (eg Skype, Google Voice) and landline calls. To get the audio into my Mac from a landline phone, I use an iMic and Sandman’s Recording Adapter. For transcripts, TranscribeMe’s First Draft service is $0.79 per audio minute, and I’ve found rates as low as $0.33 per audio minute using Upwork. I use a piece of scratch paper to scribble quick notes during each call that I can reference later in the call. Code and count. 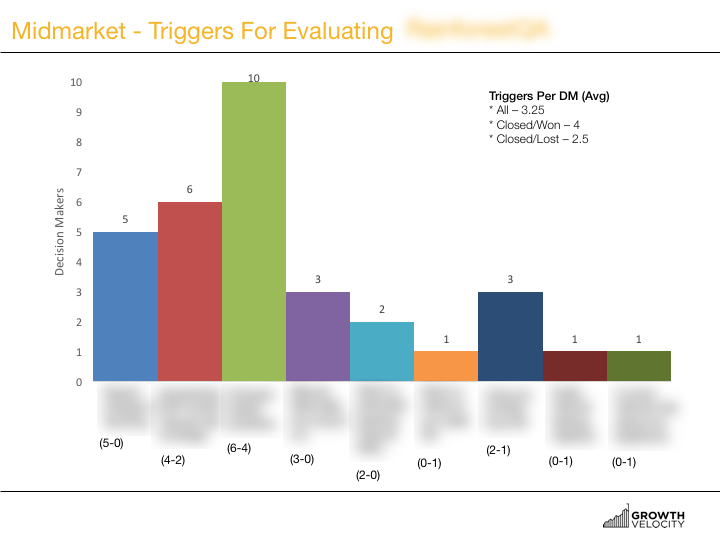 For each major topic discussed during the Win/Loss interview (eg, triggers, competitors evaluated, pricing), I recommend a code and count method to analyze the data. 20. Find the main themes in buyers’ responses to each topic. Begin by reviewing a sample of the responses on a topic to identify the main themes and give each a name (eg, “Recent change in Dev/Eng”). Then review all the interview transcripts to code each response. Note that responses can be coded to more than one theme. Finally, count the number of decision makers who used each theme. Clearly, using a spreadsheet makes it much faster to code and count the data. 21. Build a win-loss record for each theme. Count the number of times each theme has appeared in won deals and and the number of time in lost deals. For example, you may find a 7-1 record for deals that included the trigger “Recent change in Dev/Eng.” Clearly a trigger that’s associated with winning 7 of 8 deals is something you want to factor into your list building, and update your sales qualification questions to flag these high likelihood buyers. 22. Use a SWOT diagram to summarize your findings, especially competitive opportunities and threats, or in a market segment. 23. Schedule a Buyer Workshop. 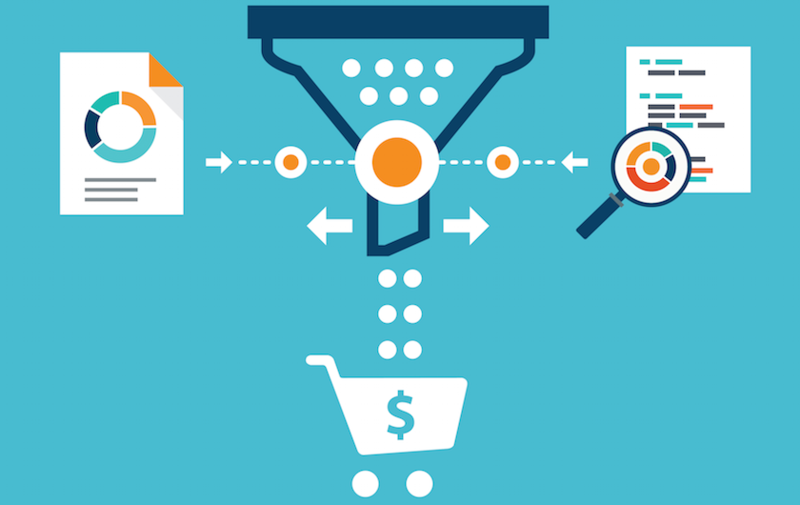 Use a workshop to engage sales and marketing stakeholders in their own analysis/synthesis of the buyer data, before presenting the project lead’s analysis. Analysis by an expert group has been proven more accurate than analysis by an individual expert. The group methodology also gives participants ownership of the findings and their operationalization. In my Win/Loss projects, I use affinity diagramming, also known as the KJ Method. 24. Operationalize the Win/Loss analysis, while it’s top of mind. Consider adding this to the agenda of your Buyer Workshop group, too. Create rough drafts of new tools or update existing ones. I described my top five ways to operationalize Win/Loss (eg, Buyer Personas, ICP, Qualification, Pricing, Sales Enablement) in this blog post. Do you have your own Win/Loss tips? Tell me what’s worked for you with a comment below.